Our Planet Forward Storyfest 2018 grand prize winners traveled this June on Alaska Airlines to Sitka. Their destination? The Lindblad Expeditions' National Geographic Sea Lion for an 8-day exploration of the incredible ecosystems along the coastal wilderness of southern Alaska. The seven students who traveled with us were tasked with documenting their experience, the science, the differences between Alaska and the Lower 48. The resulting stories reveal how climate change is impacting the region, and how Alaskans are reacting to the shift. We also look at sustainable fishing, how the state balances its resource rich territory with the need for conservation, and why it's just so easy to fall in love with the state. Scroll down to read these stories and more in our Alaska series! Front: Planet Forward Digital Media Producer Laura Whaling, Ashley Gallagher, Emily Arnold; Row 2: Shandra Furtado, Navya Pothamsetty, Katherine Baker; Row 3: Planet Forward Faculty Explorer Dr. Imani Cheers, Planet Forward Director Dan Reed, Planet Forward Founder Frank Sesno, Vanessa Moss; Back: Planet Forward Advisory Board member Michael Silberman, Alex Rubenstein. Next in our Alaska series: While many still find climate change up for debate, perhaps the way to engage and persuade these individuals is by focusing on its effects in their own communities rather than in far away places. In this photo essay, part of our Stories of Alaska series, learn about a climate and nature research center hidden among the temperate forests speckled along Alaska's southeastern coast: the Inian Islands Institute. Story four in our Stories of Alaska series focuses on the timber industry — one part of the resource-rich puzzle that is Alaska — and the yearslong debate over the "Roadless Area Conservation" rule. 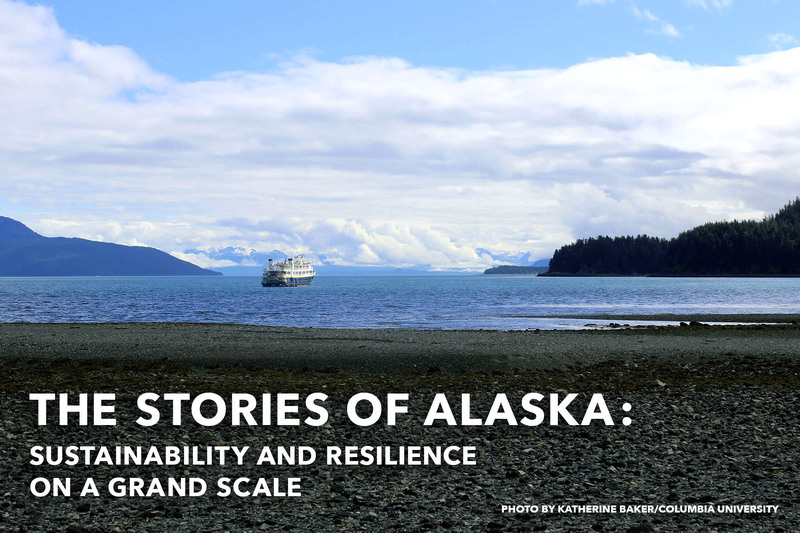 In story three of our Stories of Alaska series, we hear from a Lindblad Expeditions naturalist, who talks about living and working in a place where people see the consequences of their actions in real time.